So happy we found the Jockey Club Suites. Having a 1 bedroom suite felt like a palace compared to a hotel room and if you need to save money you could cook your meals in the full kitchen. It’s a little hidden, feels like it’s been swallowed up by the Cosmopolitan, but it’s such a great location, some rooms have views of the Bellagio fountains. The staff were fantastic, so helpful and accommodating, no timeshare hard sell at all. Just annoyed we missed our first day there due to a flight cancellation, would have loved to have stayed longer. I have been coming to the Jockey Club for years! They are a true hidden Gem. Tucked in between the Bellagio and The Cosmopolitan. HUGE suites with living room and kitchen equipped with everything needed to cook. They also let you have access to the cosmopolitan pool! There is an elevator that takes you directly to the cosmopolitan which is very convenient. There's also a convenience store next to lobby that sells about everything and is open late. You should book a couple months in advanced because this place books up. 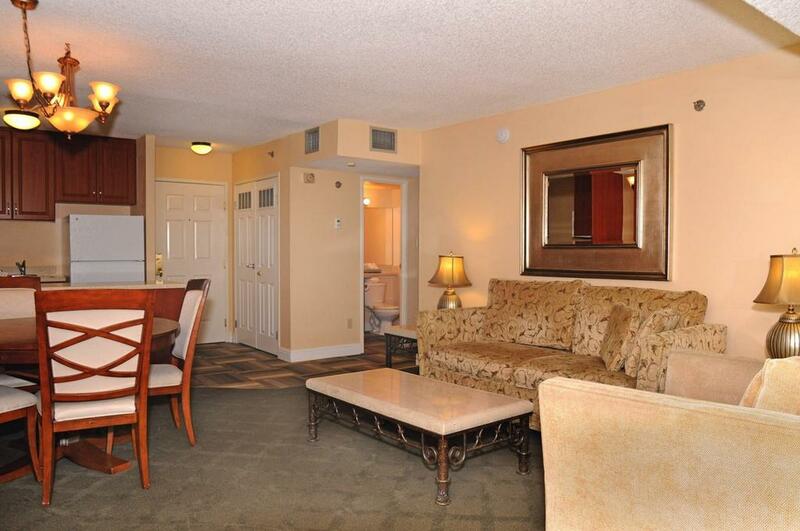 Great for bachelorette parties as well since their 2 bed accommodates up to 6 people. I would rather not spread the word, but we are so grateful to have found this amazing property in a dream location. With some luck you could have a room facing the Bellagio fountains and that would be your ultimate winning move, like it was for us. Thank you so much Jockey Club for our lovely room! Every evening we retired early to our room to enjoy the lights and the dramatic fountains at its best. Easy to access from the strip direct by road or through Cosmopolitan. The staff were wonderful and the fact that this is not your typical thousand plus rooms Vegas hotel, made JC Suites a very pleasant intimate hotel. Pssst.... don’t pass the word around... I hope it stays the hidden gem it is. This place was amazing for the price we paid!! Right beside the Bellagio we had a great view of the fountains and the strip. As Jockey Club isn’t a casino it wasn’t crazy noisey but still right in the middle of everything. Room was huge and had all of the amenities we needed for our stay. Would recommend this place over and over again!! Nice quiet clean rooms, close to the strip. When people say hidden gem about the Jockey Club, they were right! I could not have been happier about my choice to stay at the Jockey Club. It was clean, the staff were great and was able to get to the Cosmopolitan within minutes. My room had a king size bed which the room itself could be closed off to the main area of the room. The main area had a TV, Kitchen table with 4 chairs and placemats, sofa, and love seat along with a stone, fridge and all the cooking, drinkware and utensils I would need if I were to be staying longer than the 3 nights. Next time I am coming to Vegas this will be where I stay 100%. I have no complaints whatsoever with Jockey Club Suites. 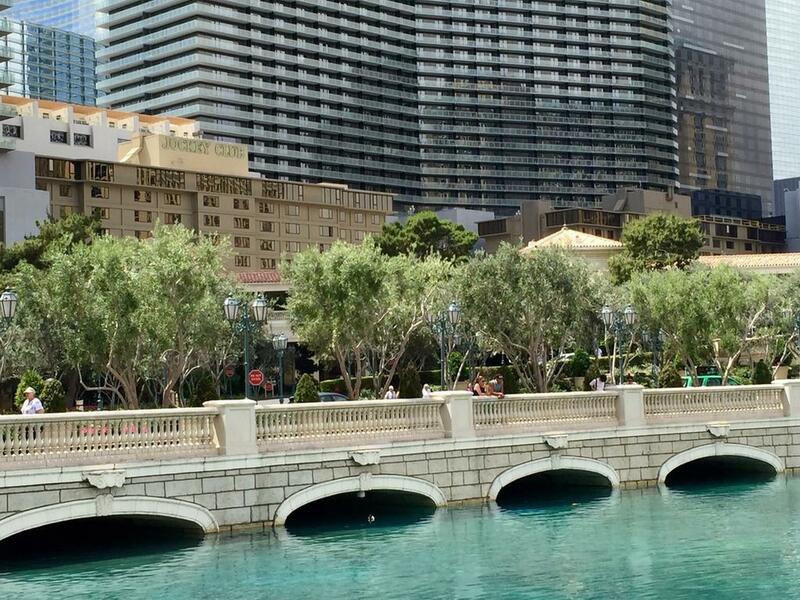 Nestled in amongst the buildings of the Cosmopolitan and with views over the Bellagio's lake, you couldn't want a more central location. 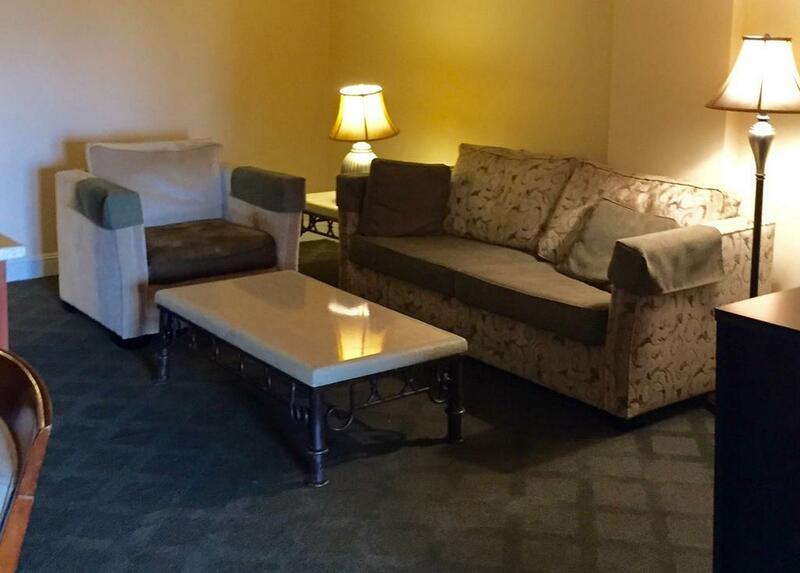 A complete one bedroom apartment with full kitchen and utensils, the Jockey Club is the perfect place for a budget friendly visit to Vegas, when you want to be in the heart of the strip. I'll come back next time I'm in the States. This serviced apartment is absolutely fantastic! Massive rooms and bed! Clean and well kept, close to the strip and next to the belagio and the cosmopolitan, we won't stay anywhere else next time we are in Vegas, A++! It's a lovely home. Excellent location, size was great. Staffs are friendly, convenient store just below and near Walgreens. Cosmopolitan just below. Full kitchen. Excellent stay and would love to spend more time back here again. This is a great place to stay, i stayed in a single 'Suite'. i has a medium size bedroom, walk in Closet, with ample hanging space and place to keep my luggage and luggage rack and a digital safe, vacuum and broom. the bathroom isn't very large but very functional. the Living Room is large and the Kitchen is Very well equipped for cooking serving (Crockery and Cutlery) etc. the mini Mart in the Hotel is very well stocked and i guess reasonably priced. the property is attached with the Cosmopolitan, so for higher end meals i went to Cosmo. across the street from the Cosmo is are the planet Hollywood Mile Street Mall, lots of cheaper chain food joint. the staff is functional and polite. there is a shop for show tickets, the pop corn is free and awesome. Great Value for money and the place is Clean, tough not brand new (no complaints there). Stay was pretty much good. There were some flies when we walked into the room and also flies throughout our stay. Will be good to get pest control in to fix the problem. Other than that, great location for the price. Location directly on strip middle of the best part of las vegas blvd . Cosmopolitan directly accessible from their casino floor to Jockey club next door. 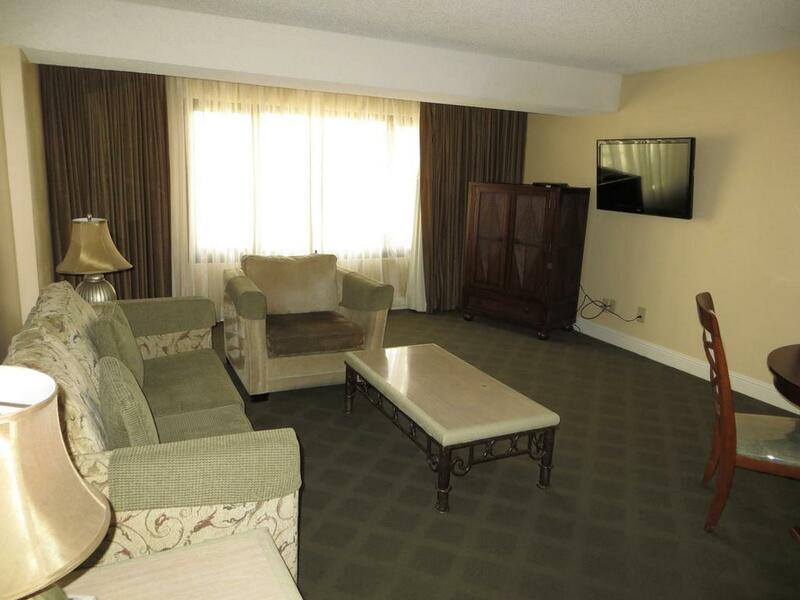 Large condo/hotel room with living room kitchen and separate bedroom and bath. Walk in closet with extra towels and laundry basket. Can use Cosmopolitan pool with agreement due to shade on jockey clubs pool from the tall hotel being next door. This is a timeshare rental room not a hotel but no presentation attendance required. Even though it was a holiday, we had great attention from everyone! Merci! Should clean diary, for the rest we are very pleased. We have a room for family of 4, very big apartment with kitchen, one king bed and a sofa bed for my two teens, the sofa bed not so comfy according to them. Living Room, Dining Room, Bedroom, Full Kitchen with Stove, Microwave, Full Refrigerator, Dishwasher, Free Wi-Fi, Free DVD's to rent & Board Games, Free Popcorn & Coffee everyday, Gym, Steamroom, Hot Tub, Pool, Patio w, BBQ Grills, free access to Cosmopolitan Pool, Daily Housekeeping, Free Shuttle to grocery store, Free computer access - staff very friendly throughout the hotel and accommodating. No Resort Fees located right between Cosmopolitan & Bellagio Hotels. Our stay was Perfect! Excellent location, but hard to see Bellagio fountain show from room. Hotel lobby is far from room. Corridor & elevators are outdated, but room is nice. Kitchen is good, bathroom is little small. Best part of hotel is it's location. No breakfast. สถานีรถไฟโมโนเรล MGM Grand - ระยะ 1.09 กม.